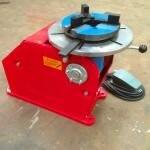 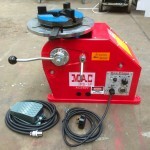 This 100kg welding positioner has a maximum load capacity of 100kg when turning on a horizontal table (vertical job), and 50kg on a vertical table (horizontal job) protruding up to 10" away from the table surface (depending upon where the centre of gravity is, and that all the weight isn't at the end of the job and closer to the table, as well as bolting the machine to a surface using the x2 bolting holes at the back, but only required for the heavier work pieces). 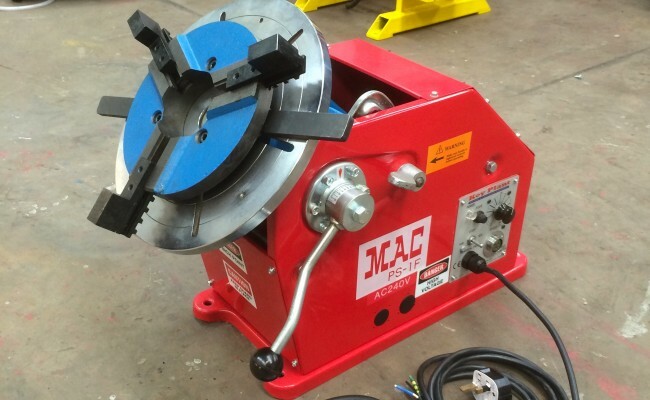 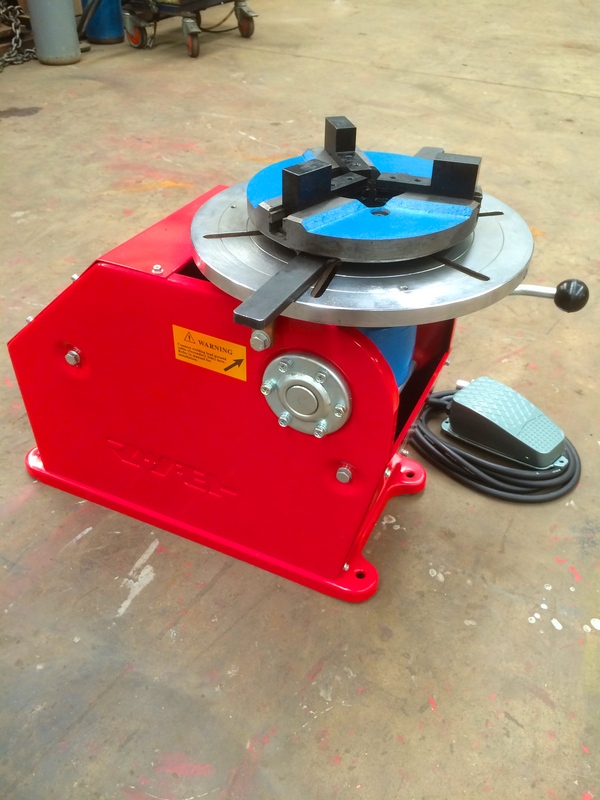 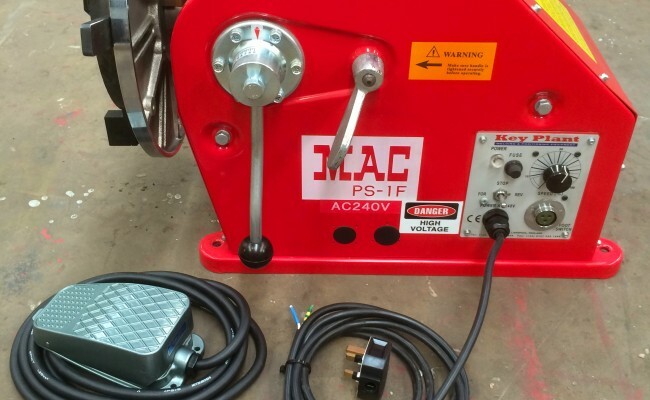 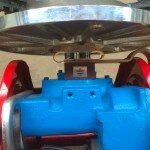 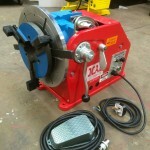 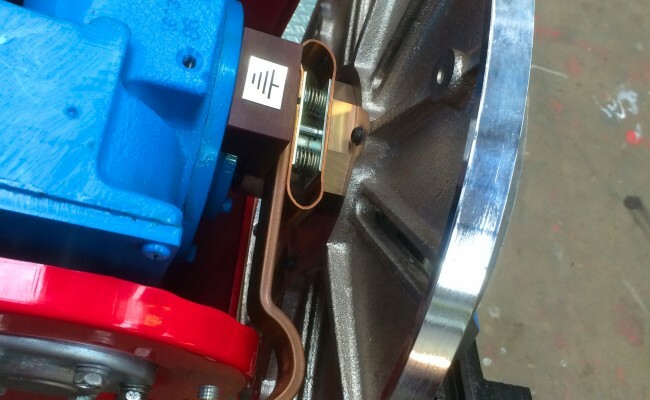 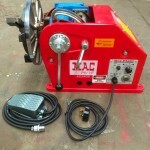 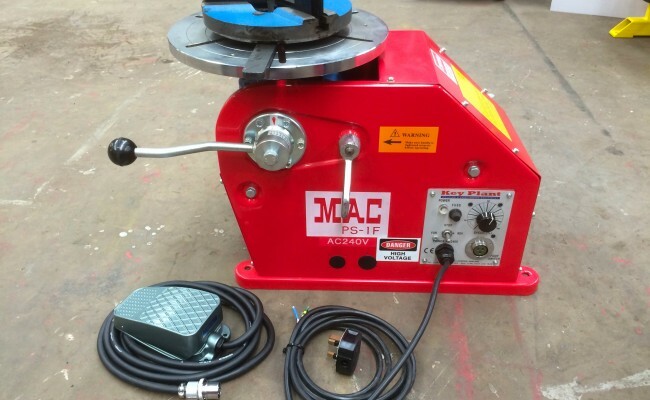 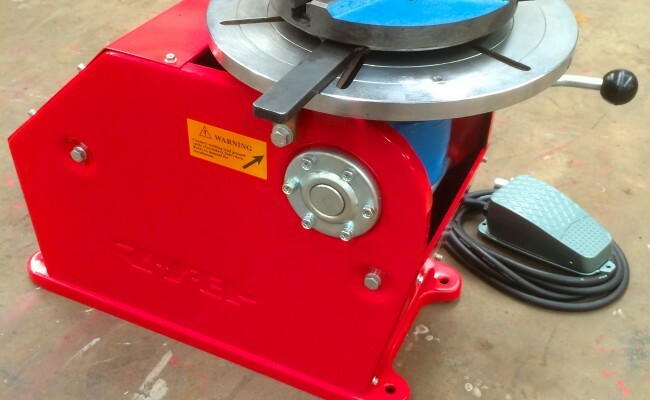 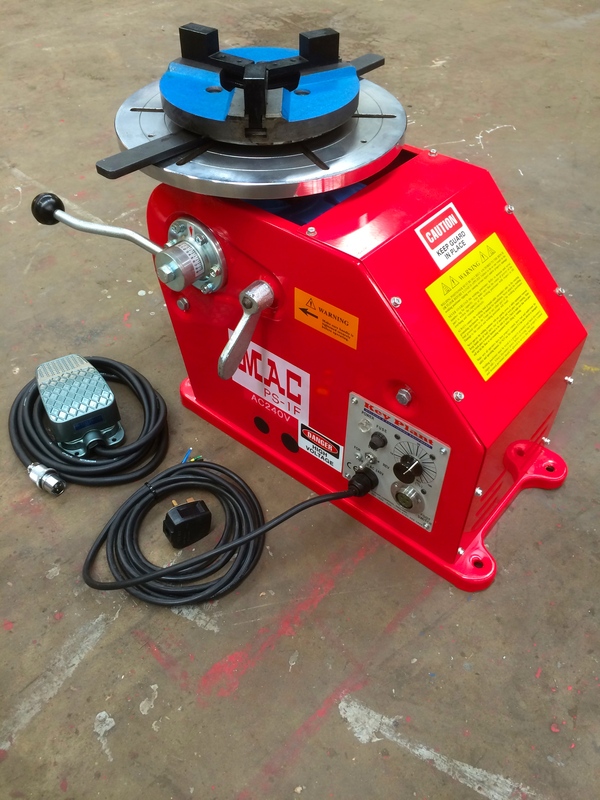 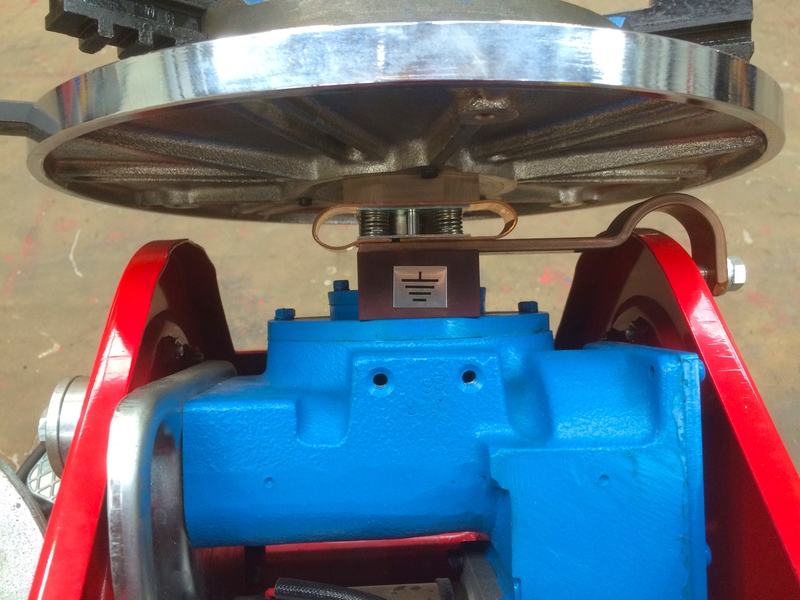 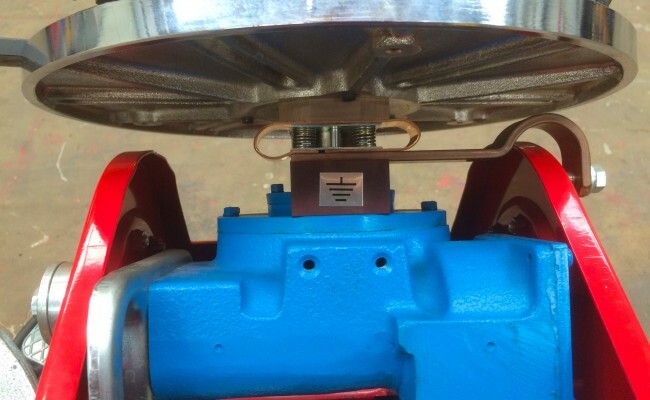 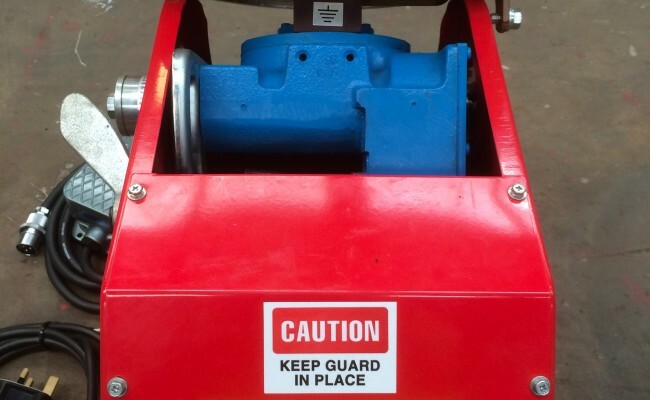 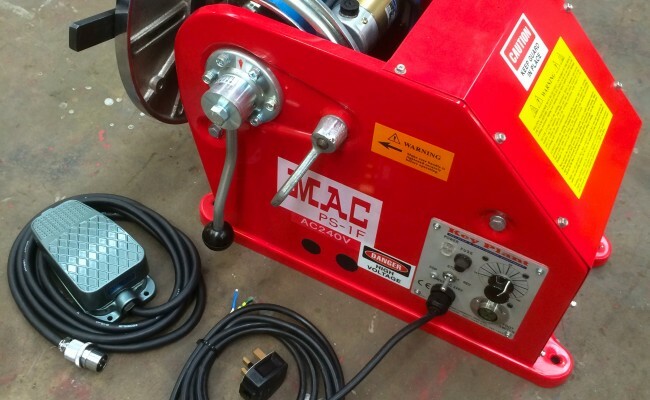 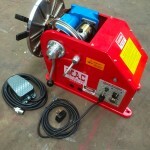 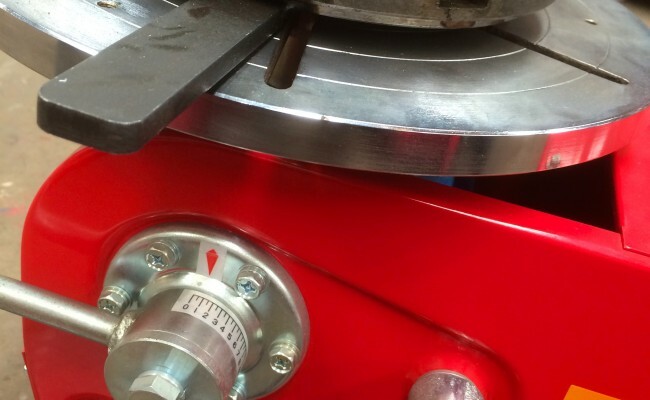 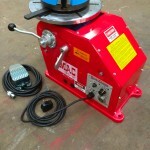 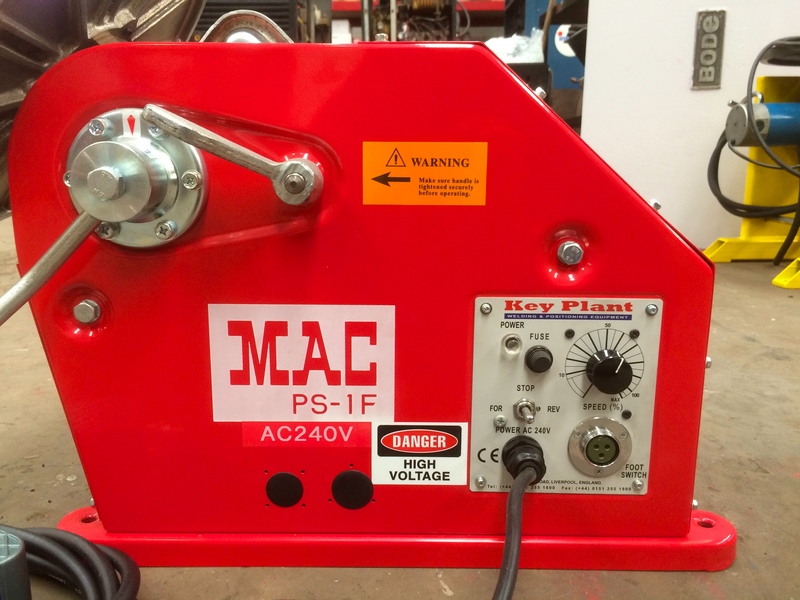 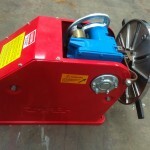 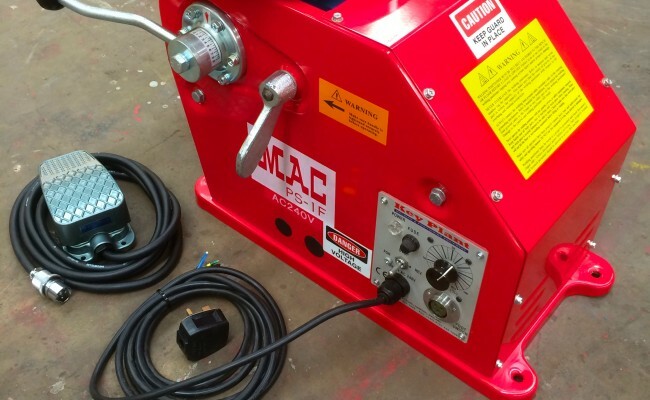 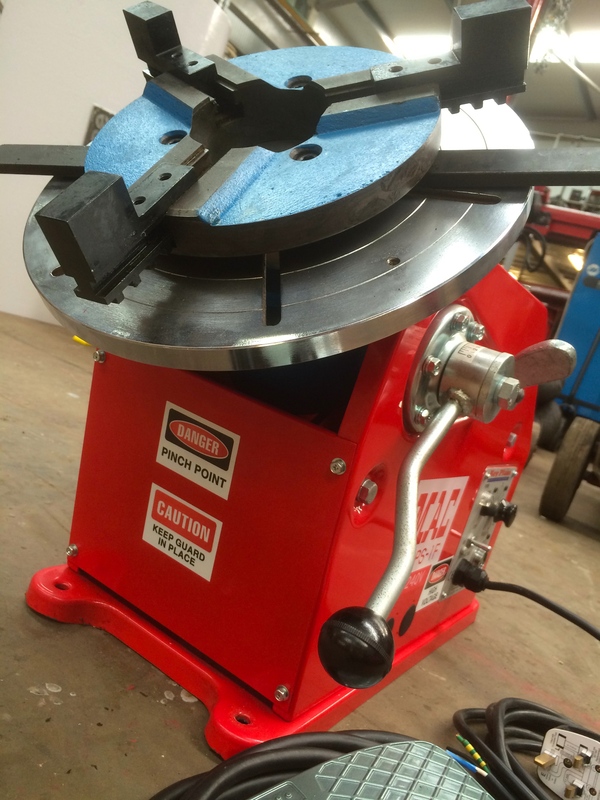 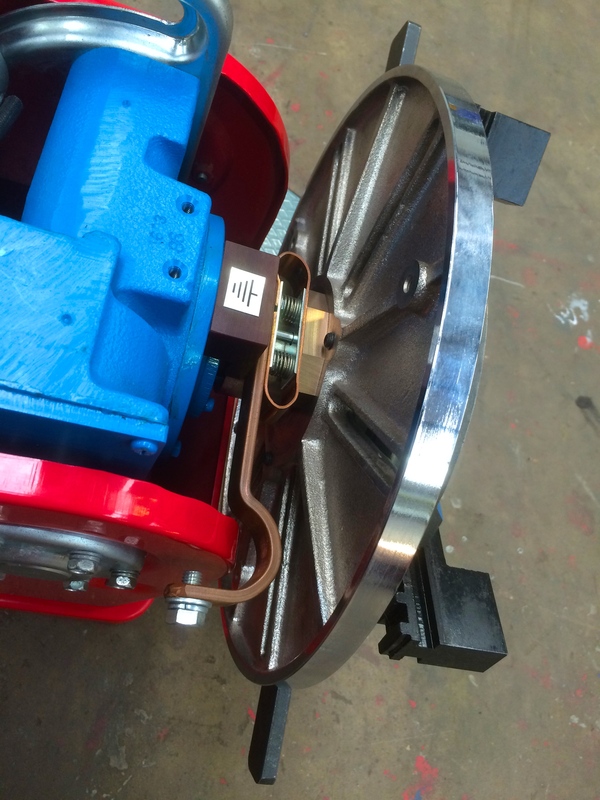 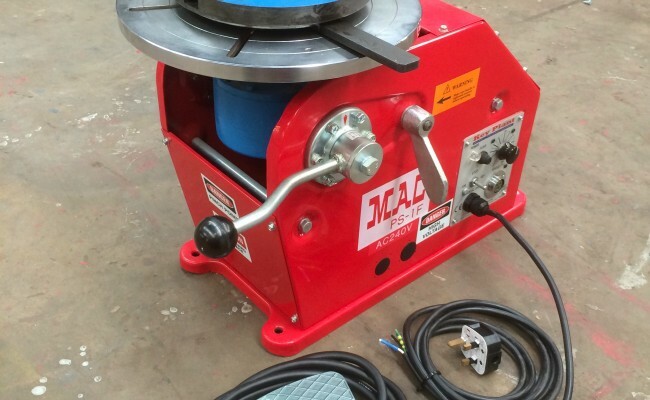 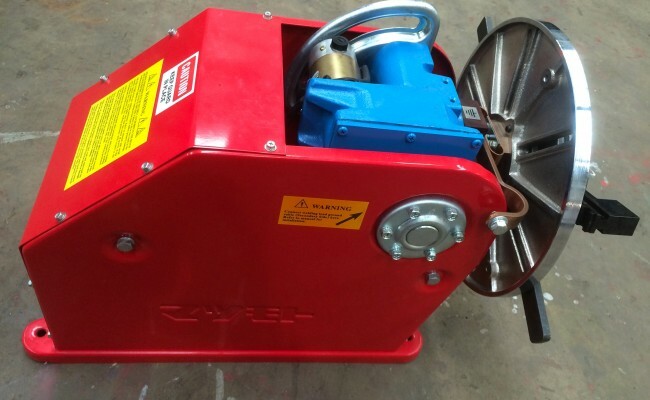 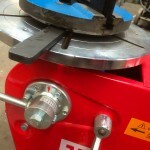 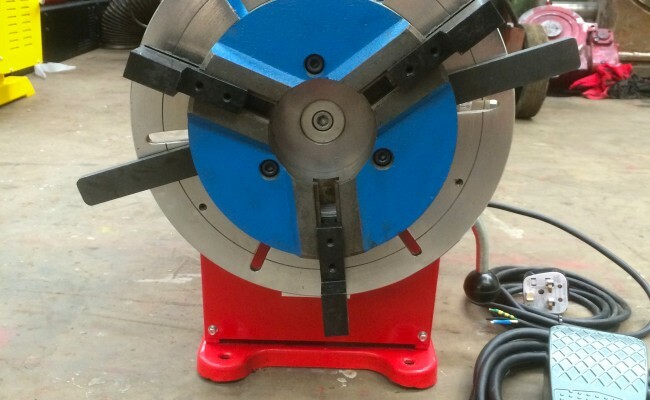 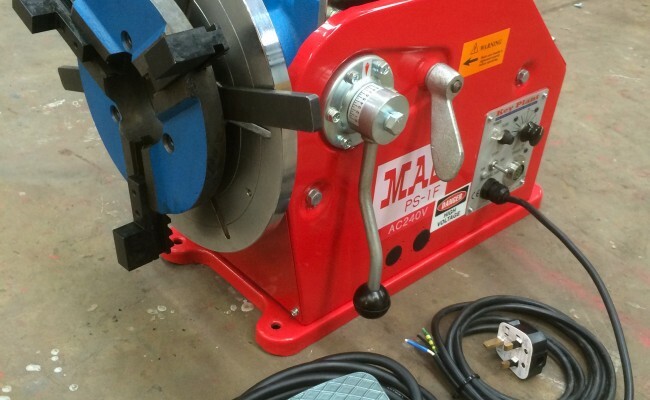 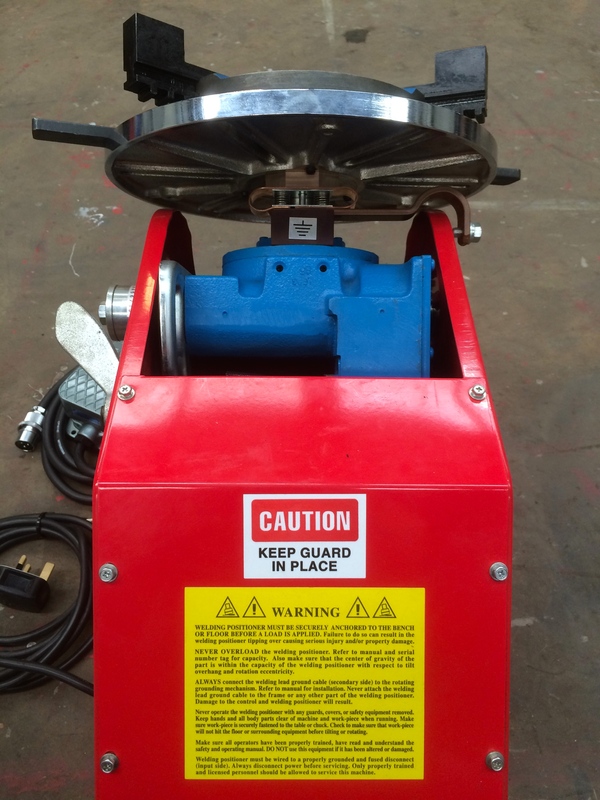 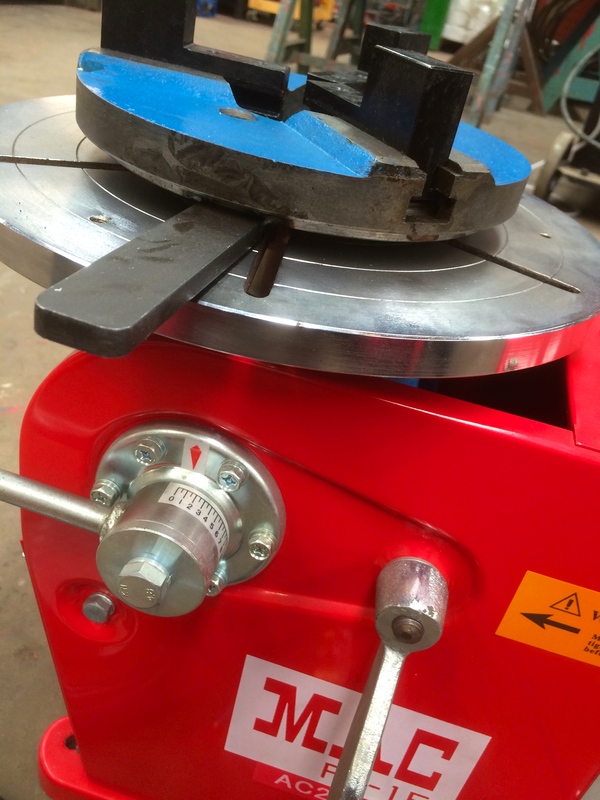 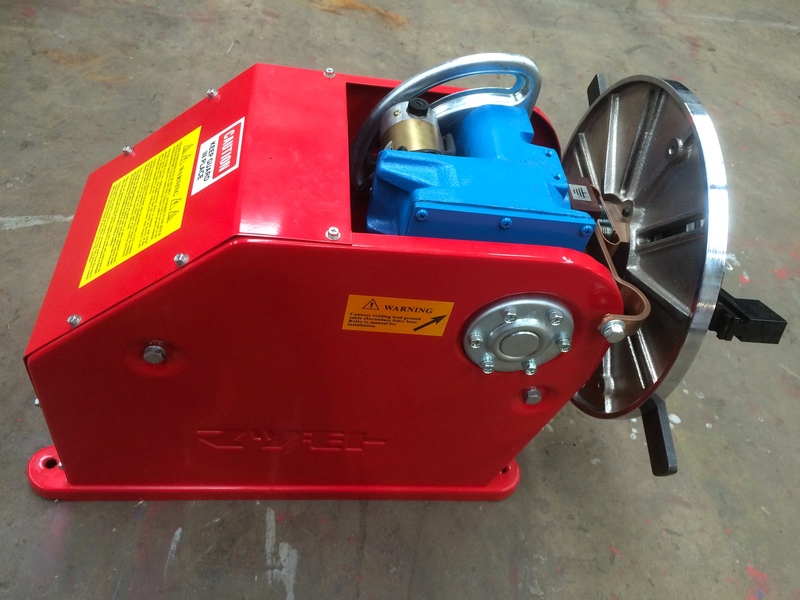 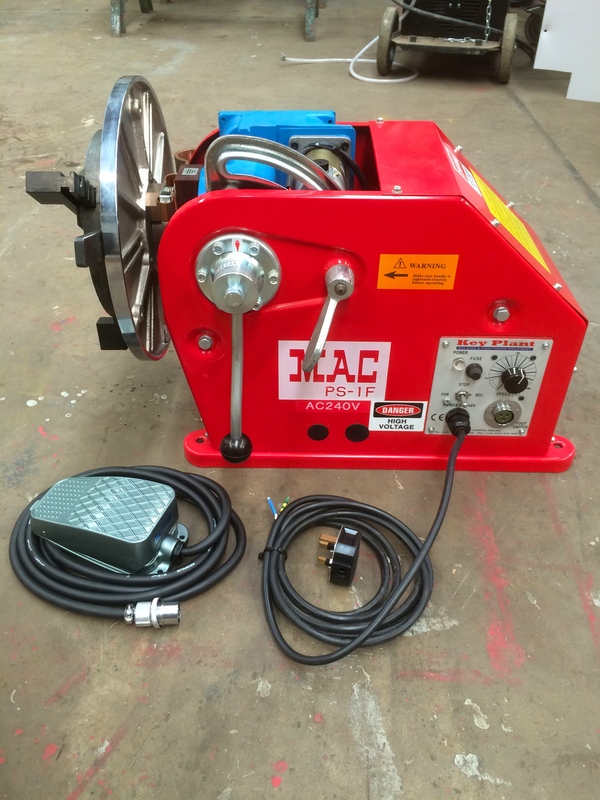 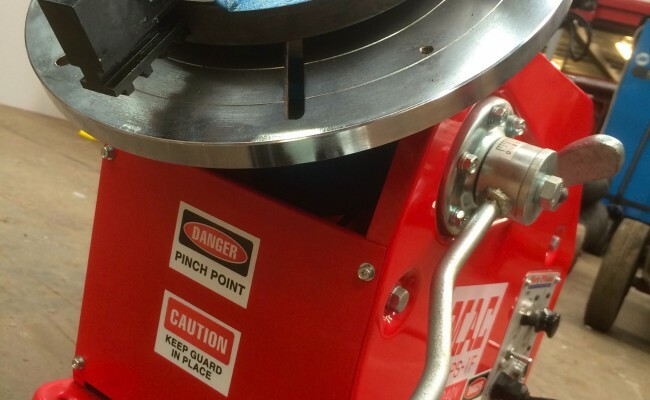 If longer pipe work needs to be attached to the quick release chuck then a 1000kg mini support rotator idler can be placed at the end of the work piece. 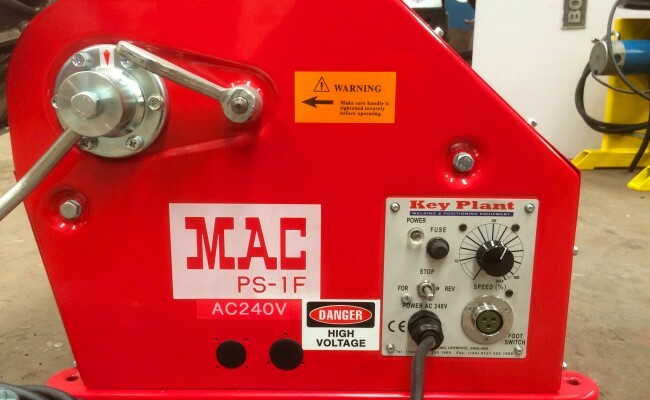 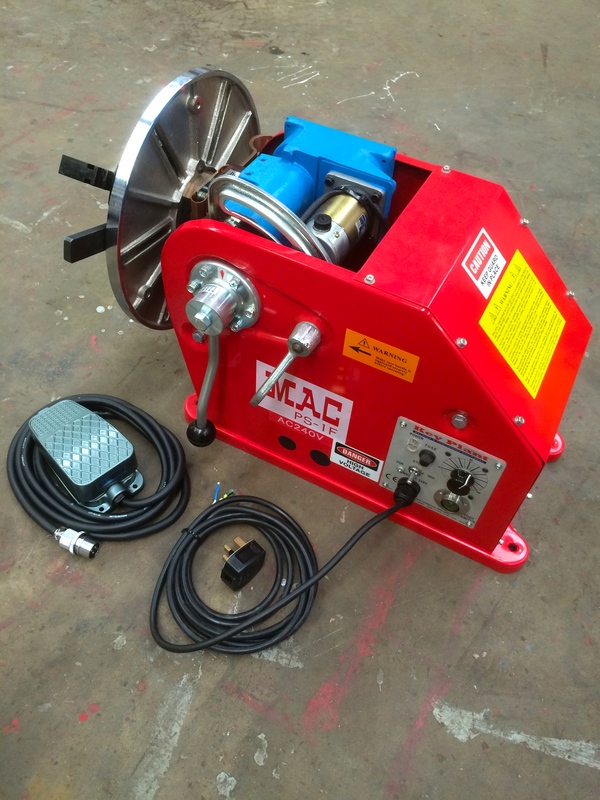 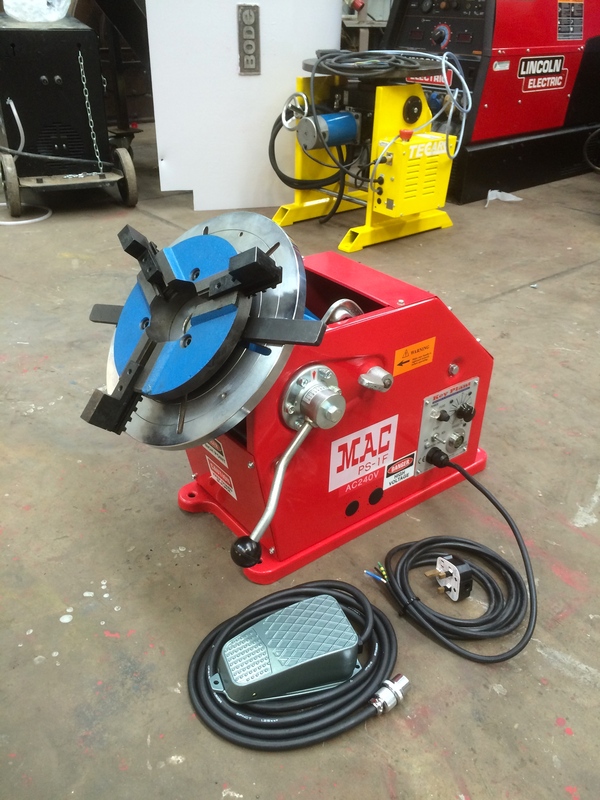 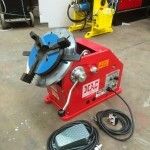 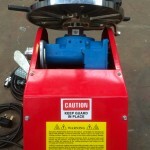 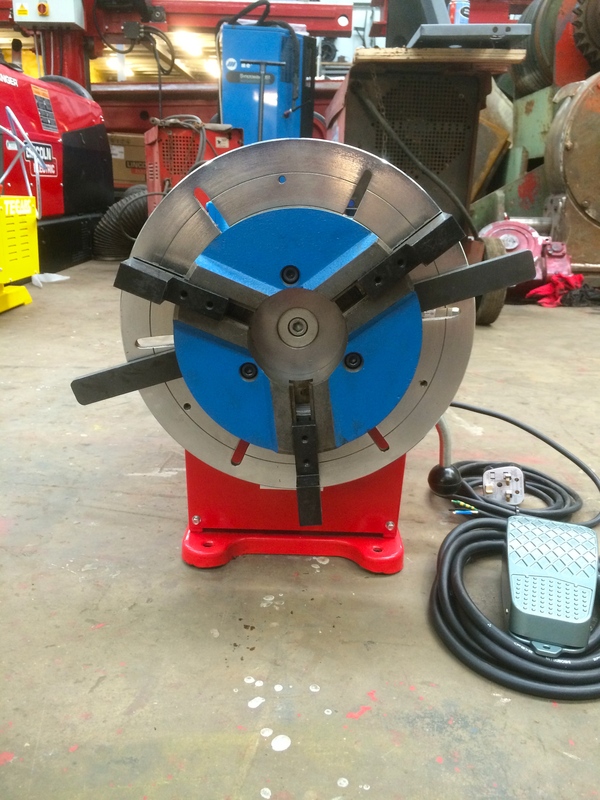 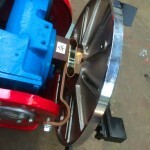 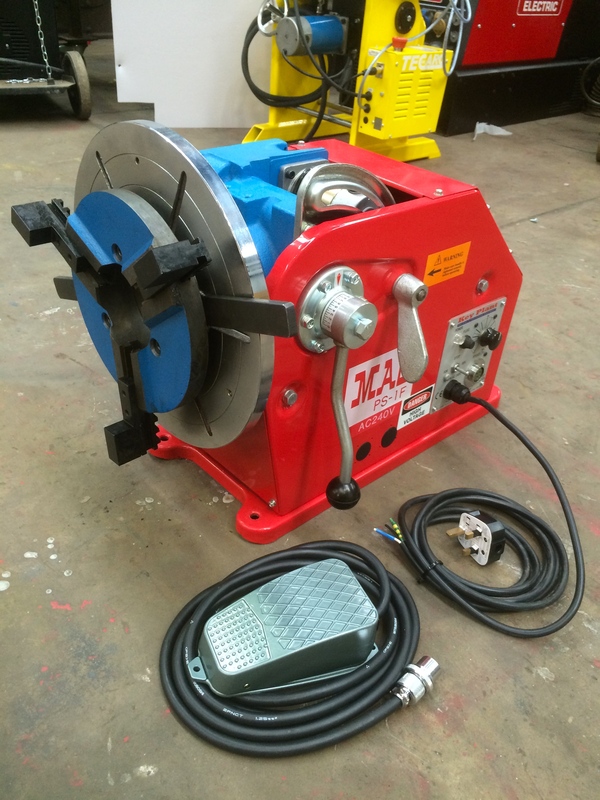 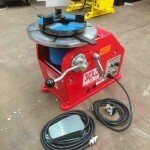 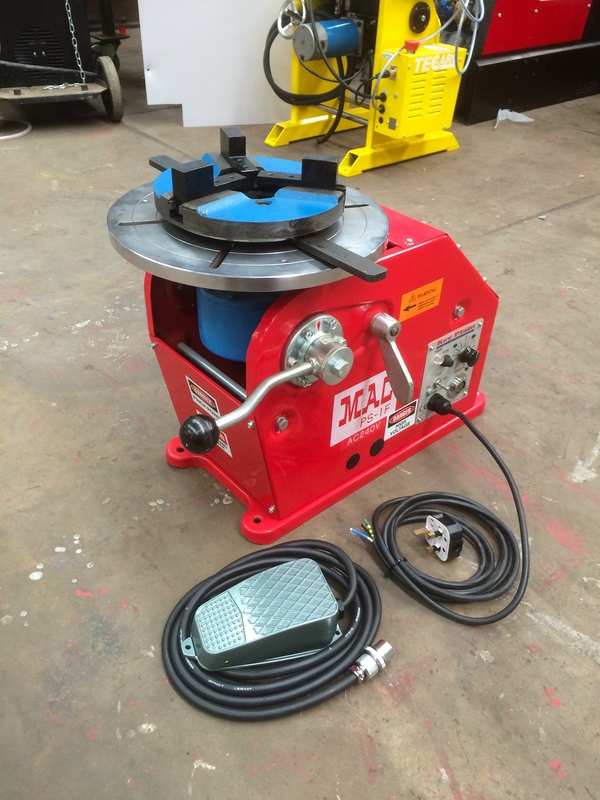 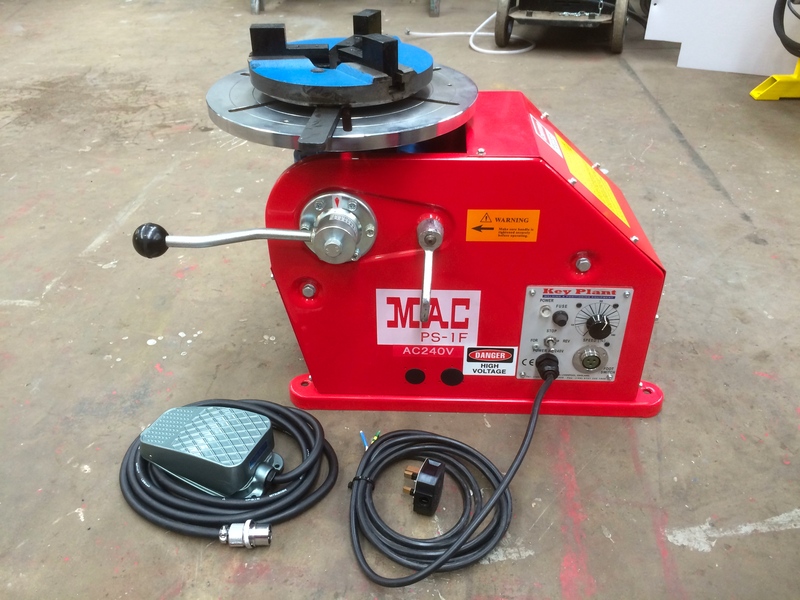 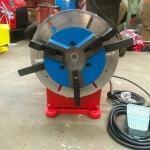 All in all this 100kg welding positioner available with a 110V or 240V supply is a superb machine due to its light weight 25kg size, a robust manual tilt handle to precisely angle the tilt, and variable speed. 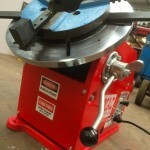 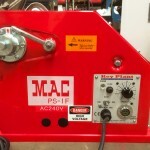 If you need to learn more about hiring and buying this machine then get in contact with us via phone or email, any day, any time.